Why Some People Think Chinese Website Design Is “Busy”? Chinese language: there are no spaces in between characters, so they always appear in big chunks and paragraphs. Also, Chinese characters are composed of strokes, with 10 strokes in one character on average, therefore, they certainly look denser than letters, looking rather visually crowded. Straplines and slogans tend to be longer, including having comma’s, as the language is complexer. Lots of links: this is due to some Chinese regions have relatively slower internet speed, so those numerous direct links on the web page allows easier search and access to information. Also, “one-stop service” is culturally favoured in China, making a site more convenient and accessible. Many Colours: Most Chinese websites employ the use of imagery, animations, and/or video clips to catch the audience’s eyes. In the visually competitive landscape, one needs to stand out. 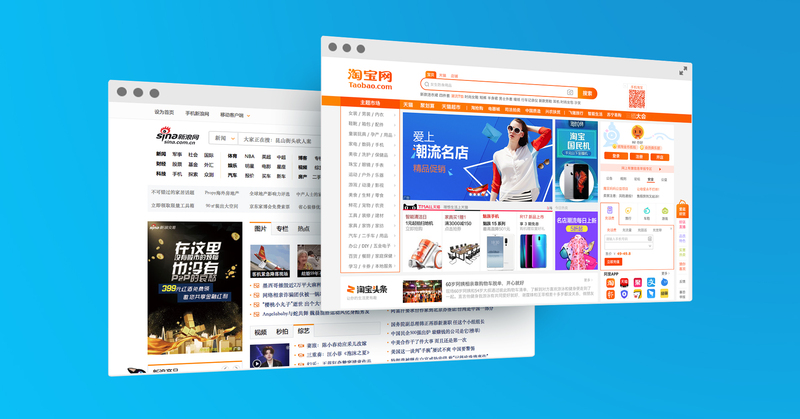 For our Western clients creating sites for China, the balancing act is to combine Western brand with Chinese visual culture, just like when we designed the Chinese Website. It’s clearly an iconic British brand but the design is vyr much ‘Made for China’. And it works.